[S11] Alison Weir, Britain's Royal Families: The Complete Genealogy (London, U.K.: The Bodley Head, 1999), page 287. Hereinafter cited as Britain's Royal Families. 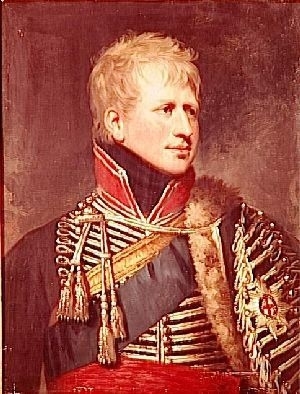 Ferdinand Georg August Prinz von Sachsen-Coburg-Saalfeld was born on 28 March 1785. 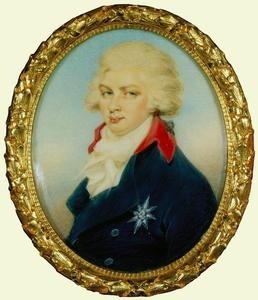 He was the son of Franz I Friedrich Anton Herzog von Sachsen-Coburg-Saalfeld and Auguste Karoline Sophie Gräfin Reuss zu Lobenstein und Ebersdorf. 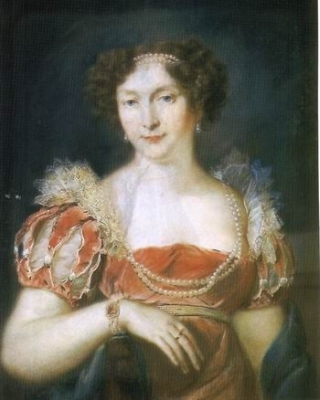 He married Marie Antoinette Kohary of Csabrag, daughter of Friedrich Josef Kohary of Csabrag, Prince Kohary of Csabrag and Marie Antionette von Waldstein-Wartenberg, on 2 January 1816 at Vienna, AustriaG. 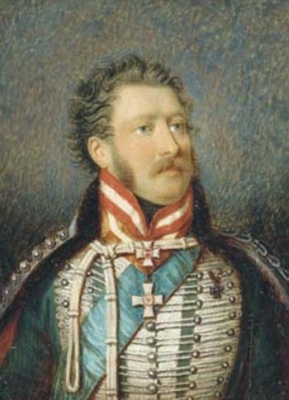 He died on 27 August 1851 at age 66 at Vienna, AustriaG. [S5] Dulcie M. Ashdown, Victoria and the Coburgs, page 150. [S3] Marlene A. Eilers, Queen Victoria's Descendants (Baltimore, Maryland: Genealogical Publishing Co., 1987), page 148. Hereinafter cited as Queen Victoria's Descendants. [S11] Alison Weir, Britain's Royal Families: The Complete Genealogy (London, U.K.: The Bodley Head, 1999), page 330. Hereinafter cited as Britain's Royal Families. Caroline Louisa Burnaby was born in 1832. 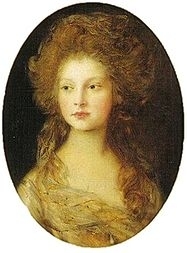 She was the daughter of Edwyn Burnaby and Anne Caroline Salisbury.1 She married, firstly, Reverend Charles William Frederick Cavendish-Bentinck, son of Lt.-Col. Lord William Charles Augustus Cavendish-Bentinck and Anne Wellesley, on 13 December 1859.1 She married, secondly, Harry Warren Scott, son of Sir William Scott of Ancrum, 6th Bt. 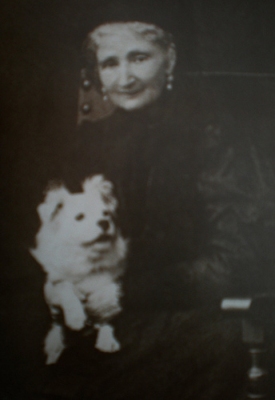 and Elizabeth Anderson, on 30 November 1870.1 She died on 6 July 1918. From 13 December 1859, her married name became Cavendish-Bentinck. From 30 November 1870, her married name became Scott. 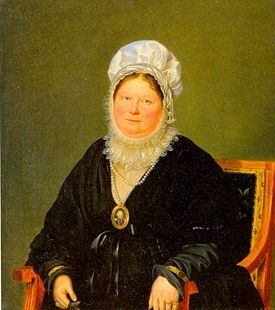 [S18] Matthew H.C.G., editor, Dictionary of National Biography on CD-ROM (Oxford, U.K.: Oxford University Press, 1995), reference "Augusta Sophia, 1768-1840". Hereinafter cited as Dictionary of National Biography. 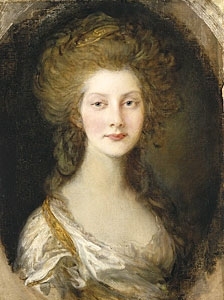 [S11] Alison Weir, Britain's Royal Families, page 289. [S11] Alison Weir, Britain's Royal Families: The Complete Genealogy (London, U.K.: The Bodley Head, 1999), page 289. Hereinafter cited as Britain's Royal Families. [S3] Marlene A. Eilers, Queen Victoria's Descendants (Baltimore, Maryland: Genealogical Publishing Co., 1987), page 169. Hereinafter cited as Queen Victoria's Descendants. [S21] L. G. Pine, The New Extinct Peerage 1884-1971: Containing Extinct, Abeyant, Dormant and Suspended Peerages With Genealogies and Arms (London, U.K.: Heraldry Today, 1972), page 91. Hereinafter cited as The New Extinct Peerage. [S11] Alison Weir, Britain's Royal Families: The Complete Genealogy (London, U.K.: The Bodley Head, 1999), page 293. Hereinafter cited as Britain's Royal Families. [S11] Alison Weir, Britain's Royal Families, page 294. [S11] Alison Weir, Britain's Royal Families, page 295. [S12] C. Arnold McNaughton, The Book of Kings: A Royal Genealogy, in 3 volumes (London, U.K.: Garnstone Press, 1973), volume 1, page 32. Hereinafter cited as The Book of Kings. [S18] Matthew H.C.G., editor, Dictionary of National Biography on CD-ROM (Oxford, U.K.: Oxford University Press, 1995), reference "Augustus Frederick, 1773-1843". Hereinafter cited as Dictionary of National Biography.